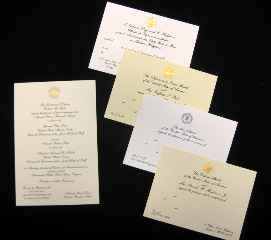 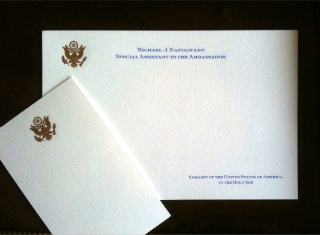 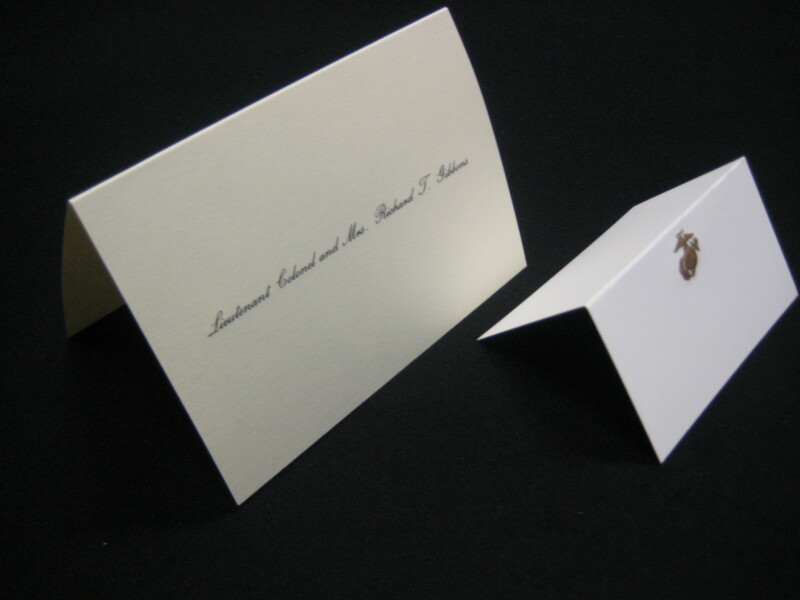 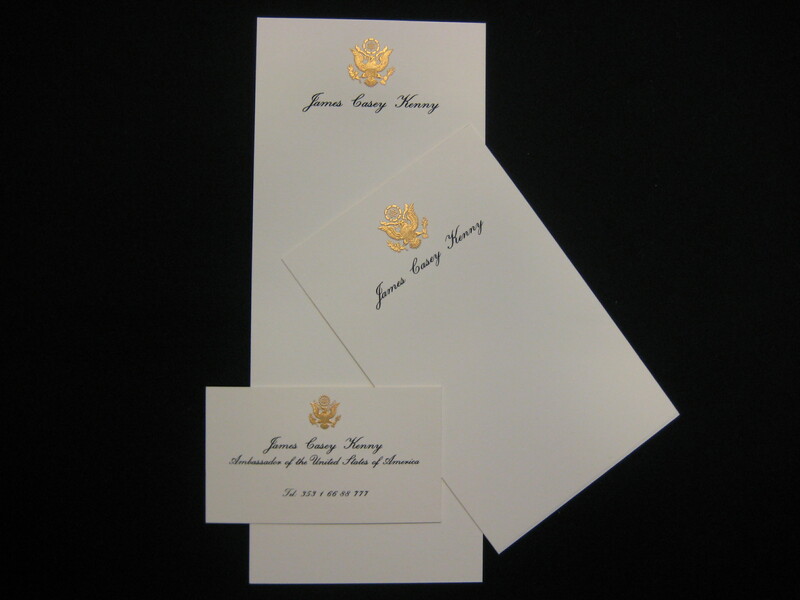 We offer for your consideration Engraved Stationery made in the tradition of quality consistant with our history of over 90 years experience. 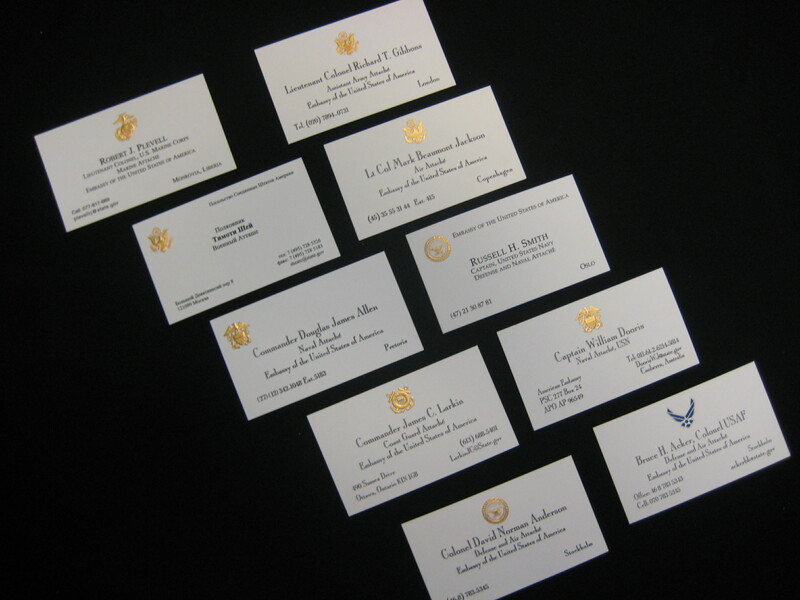 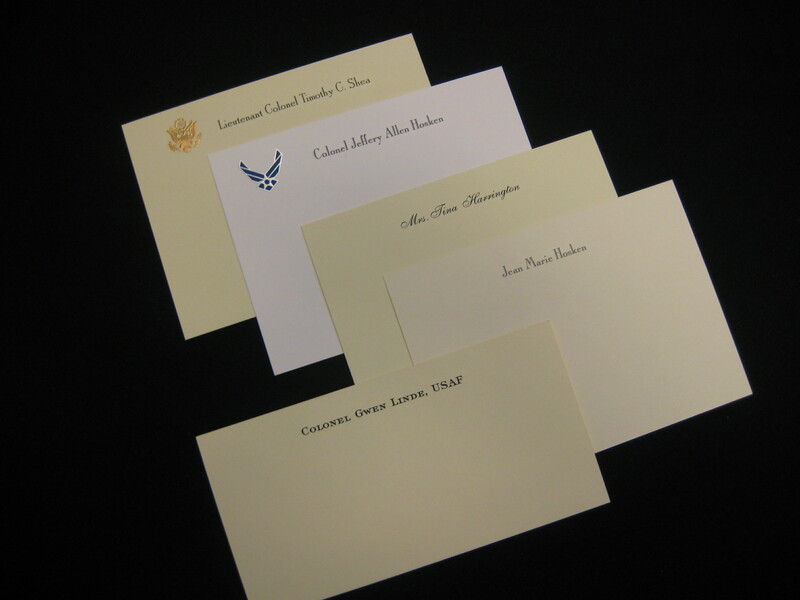 The following show a selection of our Stationery for Military Attaches from which we can work to create a product to satisfy your specific needs. 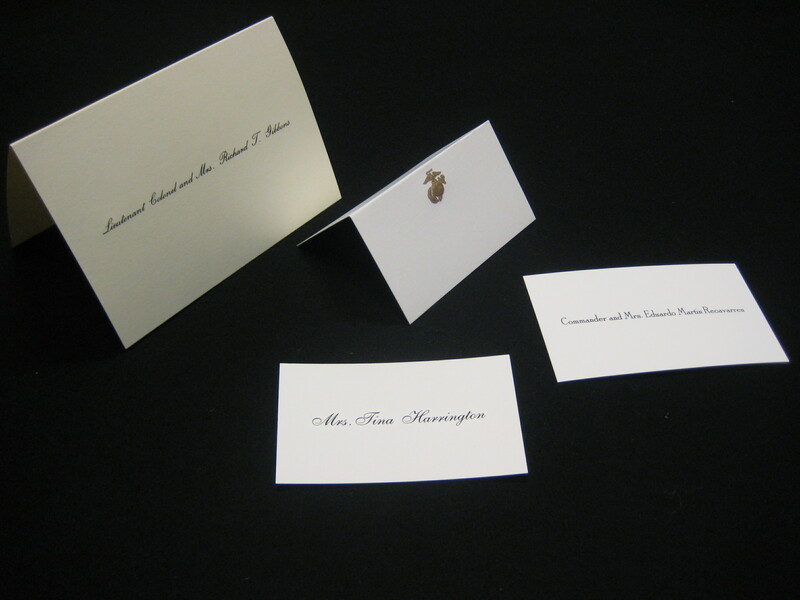 We are confident our Hand Engraved Seals and Engraved Text will project the image of excellence your position merits. 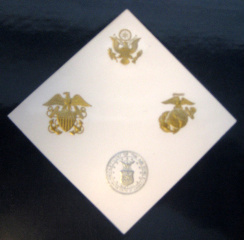 PLEASE CONTACT US FOR SPECIAL ATTACHE PRICING, TO PLACE ORDER OR FOR MORE INFORMATION.